Without being told explicitly, we can’t be sure of what kind of views of the afterlife were held by the pre-Christian Gaels, and unfortunately, we don’t have much in the way of that kind of evidence. From archaeology we can make some informed guesses, however, and looking to later historical or literary sources can give us some idea of pre-Christian beliefs from what has been preserved in the texts. There are several tales that hint at a belief in reincarnation, or mention it explicitly, even though it contradicts Christian beliefs. Many of the tales show that great and venerable people in Irish (pseudo-) history have been reincarnated in one way or another, often through a series of transformations into several different kinds of animals before arriving in human form again. The process, both magical and somewhat at odds with any heavenly ideals, appears to have survived largely as a literary motif – a convenient way of lending authority to certain supposed historical events by being able to say that someone lived through these times and witnessed them first hand.3 Given their remarkable history themselves, their age and wisdom, naturally their version of events couldn’t possibly be called into doubt. The same goes for having heroes and even kings having existed in former lives as other great people, or being originally conceived by the gods themselves; their origins mark out their authority and special status above others of not so lofty pedigrees. As noted, these examples (with the exception of Cáilte’s claims about Mongán) are more a process of metamorphosis than a straightforward sort of reincarnation, humans being reborn from one life to the next. With the story of Cú Chulainn’s birth we are perhaps on firmer ground, since it takes two failed pregnancies before he is successfully born on the third go round to mortal parents (although ultimately, he is clearly of at least semi-divine origin). 50. There was raised for him a cairn with the stone of his race, Over the broad sea, An ancient stormy dwelling; and Tech Duinn, It is called. This is very explicit and seems to accord with other bits and pieces of lore, but is interesting in that it directly contradicts Christian belief in heaven and the manuscript makes no bones about it. Lebor Gabála Érenn makes no mention of it (perhaps deliberately? ), while the Dindshenchas (Place-name lore)15 frames it in a far more Christian context. 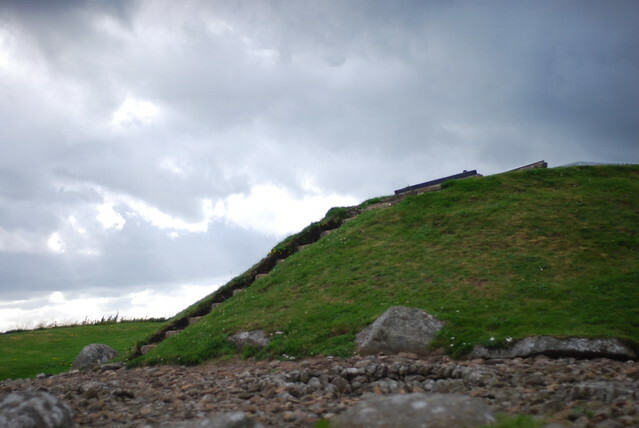 Across the sea is not the only place the dead are supposed to go, as we’ve seen with Donn Fírinne’s seat in the hills of County Limerick, and as there are suggestions of more localised traditions for there being an off-shore afterlife, it makes sense that there are a variety of inland places as well. Clearly there isn’t one right answer when considering the question of what happens to us once we die. 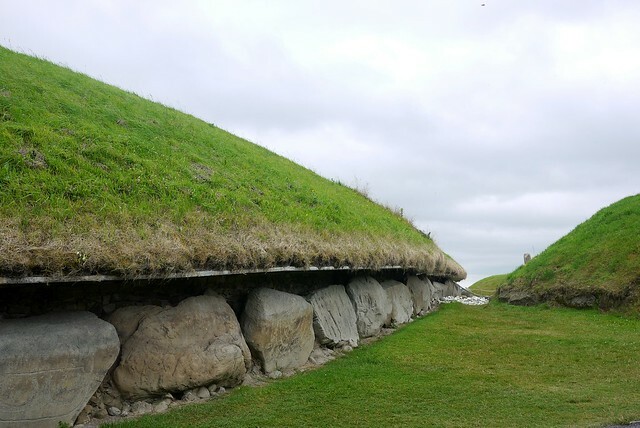 Gaelic tradition accommodates a variety of perspectives, and it is no surprise that there are both more generalised, and more localised beliefs, to be found, given the nature of the gods and their close ties with the landscape around them. Regardless of whether we consider reincarnation, Tech Duinn, or the hills as likely options, there is an underlying and unifying concept in that ultimately, there is the sense that one is returning to the ancestors. This is one of the reasons we honour our ancestors in our practices, even if we don’t know them; at some point, we will take our place with them. 1 Cunliffe, Iron Age Communities in Britain, 1975, p287; Raftery, ‘Iron-age Ireland’, A New History of Ireland Volume I: Prehistoric and Early Ireland, Ó Cróinín (Ed. ), 2005, p171; for a discussion of excarnation, see for example, Hingley, Settlement and Sacrifice, 1998, p53. 2 Raftery, Pagan Celtic Ireland, 1994, p189; Duffy, Medieval Ireland, An Encyclopedia, 2005, p388. 3 Koch (Ed. ), Celtic Culture: A Historical Encyclopedia, 2006, p1486. 4 See for example: Stephens, Irish Fairy Tales, 1920. 5 Koch (Ed. ), Celtic Culture: A Historical Encyclopedia, 2006, p1485. 6 Ibid; The Wooing of Étain. 7 Diodorus Siculus (c90BC to c20BC), The Library of History, [5 28 5-6]. 8 MacKenzie, Scottish Folk-Lore and Folk Life, 1935, p287. 9 Koch (Ed. ), Celtic Culture: A Historical Encyclopedia, 2006, p1404; Mac Cana, Celtic Mythology, 1968, p37. 10 Ó hÓgáin, The Lore of Ireland, 2006, p179. 11 Ó hÓgáin, The Lore of Ireland, 2006, p179. 12 Green, The Gods of the Celts, 1986, p111; Ó hÓgáin, The Lore of Ireland, 2006, p179. 13 See Lebor Gabála Érenn, §79-§82. 14 Todd, The Irish version of the Historia Brittonum of Nennius, 1848, p249. (c15th century in date). 15 These are short tales that tell of the origin of a placename, often relating to gods or the children of the gods. They are relatively late in date, but in many instances draw on older myths. 16 Tech Duinn, Gwynn, The Metrical Dindshenchas. 17 Westropp, A Folklore Survey of County Clare; Ó hÓgáin, The Lore of Ireland, 2006, p179. 18 Ó Súilleabháin, Irish Folk Custom and Belief, 1967, p51. 19 Ibid; Ó hÓgáin, The Lore of Ireland, 2006, p179. 20 Fairweather, Highland Heritage, 1984, p49. 21 Koch (Ed. ), Celtic Culture: A Historical Encyclopedia, 2006, p1671. 22 Evans-Wentz, The Fairy Faith in Celtic Countries, 1911, p58. 23 Evans-Wentz, The Fairy Faith in Celtic Countries, 1911, p109. 24 Evans-Wentz, The Fairy Faith in Celtic Countries, 1911, p124. 25 Rees and Rees, Celtic Heritage, 1961, p89-90; McNeill, The Silver Bough Volume 3, 1961, p13; Danaher, The Year in Ireland, 1972, p228. 26 Evans-Wentz, The Fairy Faith in Celtic Countries, 1911, p37. 27 See Brian Walsh’s The Secret Commonwealth.